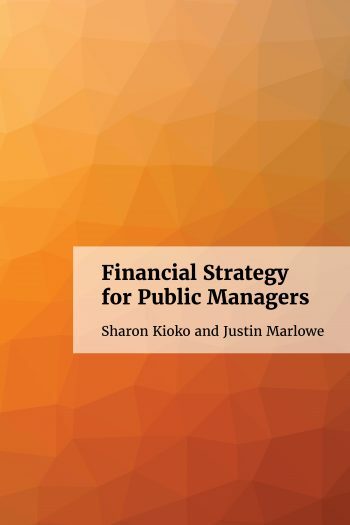 Book Description: Financial Strategy for Public Managers is a new generation textbook for financial management in the public sector. It offers a thorough, applied, and concise introduction to the essential financial concepts and analytical tools that today’s effective public servants need to know. Financial Strategy for Public Managers has been peer-reviewed by 8 subject experts at 8 institutions. Here is its Accessibility Assessment. If you have any feedback about this book, or want to know more about how it came about, you can visit the project homepage. Please let us know if you are interested in adopting this book. This means you can use it, adapt it, and redistribute it as you like, but you must provide attribution to the original authors, by retaining this license notice. © Sharon Kioko & Justin Marlowe. All authors retain the copyright on their work. We request that you keep this full notice when you use the book. You can find free copies of this book in multiple formats (web, PDF, EPUB) at: https://press.rebus.community/financialstrategy/. Do you have comments about this book? Please visit https://forum.rebus.community/topic/98/project-summary-financial-strategy-for-public-managers. This book was created with support from the Rebus Community for Open Textbook Creation, where we are building new collaborative models for creating & sustaining open textbooks. Would you like to collaborate on an open textbook? Join the Rebus Community at forum.rebus.community. Are you a faculty member or administrator with questions about this book, or about open textbooks generally? Please get in touch with us at contact@rebus.community.